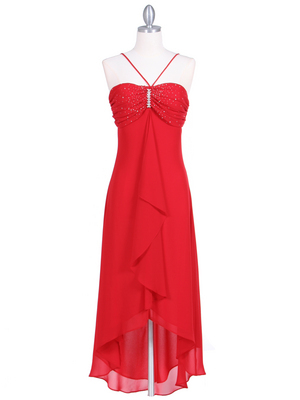 Red Cocktail Dress with Rhinestone Pin | Sung Boutique L.A. 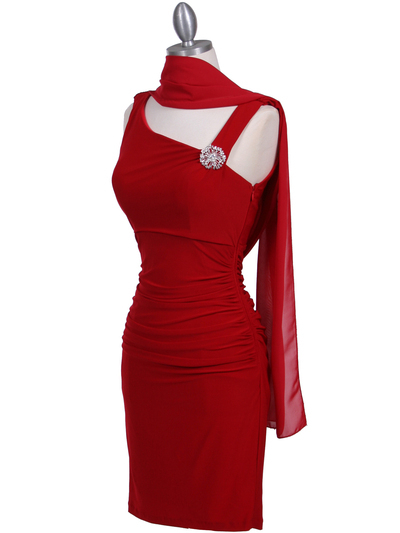 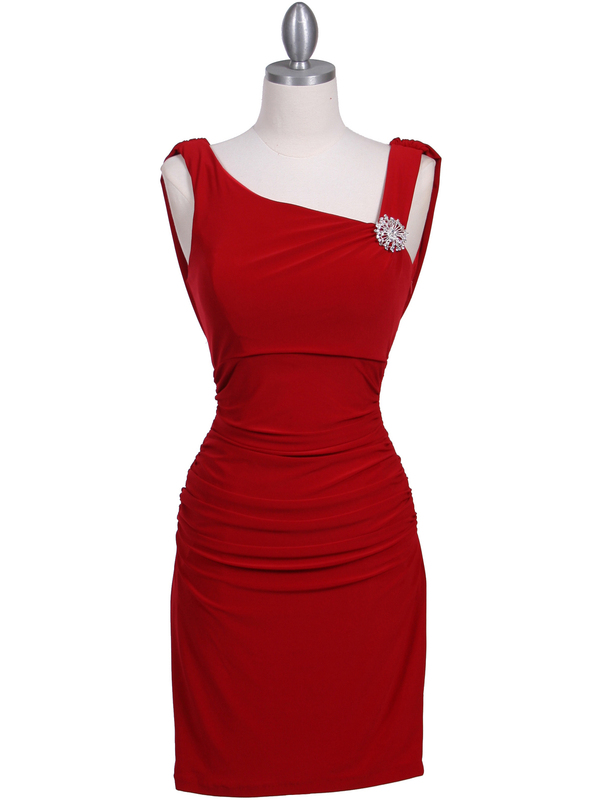 This beautiful knit cocktail dress features asymmetrical neckline detailed with sparkling rhinestone pin. 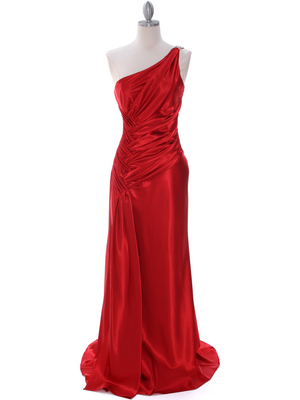 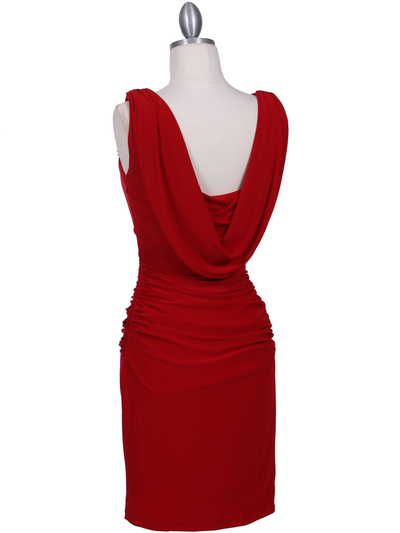 Ruched bodice with draped back finished the elegant look.